This workshop is open to adults and high school students. The artist behind Mirror Universe will demonstrate to students the techniques behind her recent works. Supplies will be provided. Capacity: 15 students. Register via PayPal below. To pay over the phone, call 301-739-5727. For check or cash, visit the Museum. 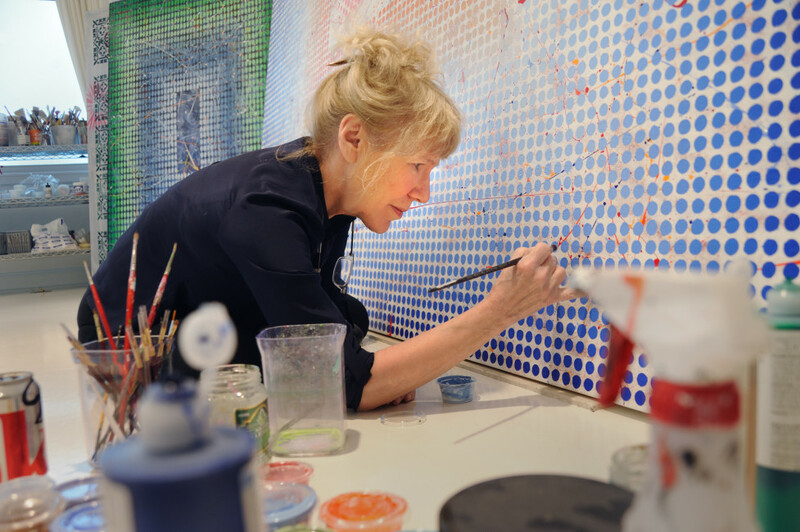 Carol Brown Goldberg in her studio.